If you’re looking to expand your reach and get your products into some retail stores around your city, province or even country, you need to make a plan. Here are some areas to think about and 10 steps you can follow to get started! 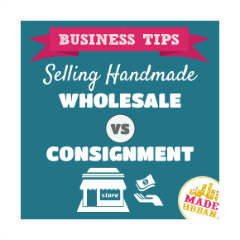 1) Set your Wholesale prices – Selling at a craft show or online is much different than selling through a boutique. You get to keep majority of your profits whereas retail stores will pay you your wholesale prices, not retail prices. Have a look over our guide on How to Calculate the Price of your Handmade Products so you can be sure you’re setting your retail and wholesale prices properly. Typically wholesale prices are half of your retail price. This means when you sell an item at a craft show, you get to keep all the money that’s listed on the price tag and after your costs are covered, the rest is profit. Selling wholesale, you get half the money that’s on the price tag and the rest goes to the boutique. When you cut your retail price in half, will you still be happy with your profits? If you’re looking at selling through boutiques, you may need to raise your prices across the board. 2) Stick to your prices – it would be unfair to sell your products at a much lower price on your website, than boutiques are selling them at. If you decide to raise your prices in order to make a profit through wholesales, you should keep your prices consistent. You can still have sales or offer promotions when customers purchase through you (just as stores may do if they buy your items upfront). Decide what type of a deal you would like to make with store owners. Wholesale means the retailer will purchase your products and pay for them upfront. 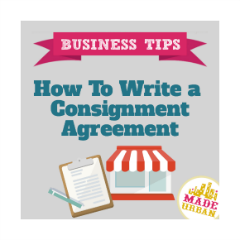 Consignment means that you will give the store some stock and they will pay you the wholesale price (or a decided percentage) if they sell. If they don’t sell after an allotted amount of time, you take the stock back. 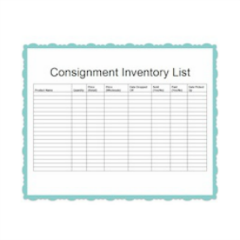 If you’re the new kid on the block, consignment may be a good way to get your foot in the door as it’s less risk for the retailer. Learn more about the differences, plus some pros and cons to each. 4) Set your policies – make up a set of policies you would like to follow to be sure partnerships with boutiques will benefit your business. Think about how far in advance you would like orders to be placed, who takes care of shipping costs, when you get paid and if it’s a consignment deal: how frequent the cheques will be and how long your items will stay in their store in the case they don’t sell. These don’t have to be written in stone as it’s always good to be flexible when negotiating, but if paying for shipping is going to cut into your profits big time, you’ll want to be aware of that before you make any deals. 5) Get ahead of schedule – once you get into boutiques, you have to work with their schedule. Buyers will often do all their purchasing months ahead of a season so even though you’re still in flip-flops and shorts, they’re thinking about scarves and hoodies. You have to think ahead and organization is a must. If they send you an order, you need to be able to fill it by their deadline. 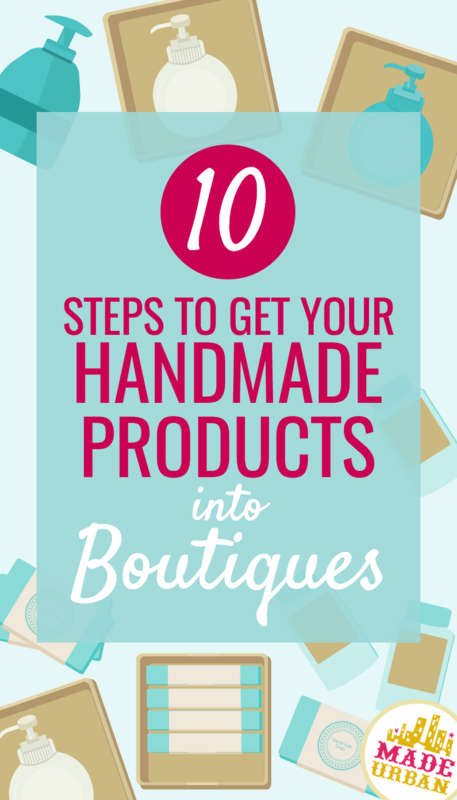 6) Research some boutiques – find out which retailers support local vendors and handmade goods. If you can, visit their stores to get a feel for them and make sure they’re a fit for you. It won’t benefit either of you if your products don’t fit their demographic and will be overlooked by customers. Create a master list of ideal boutiques you could work with in the future. 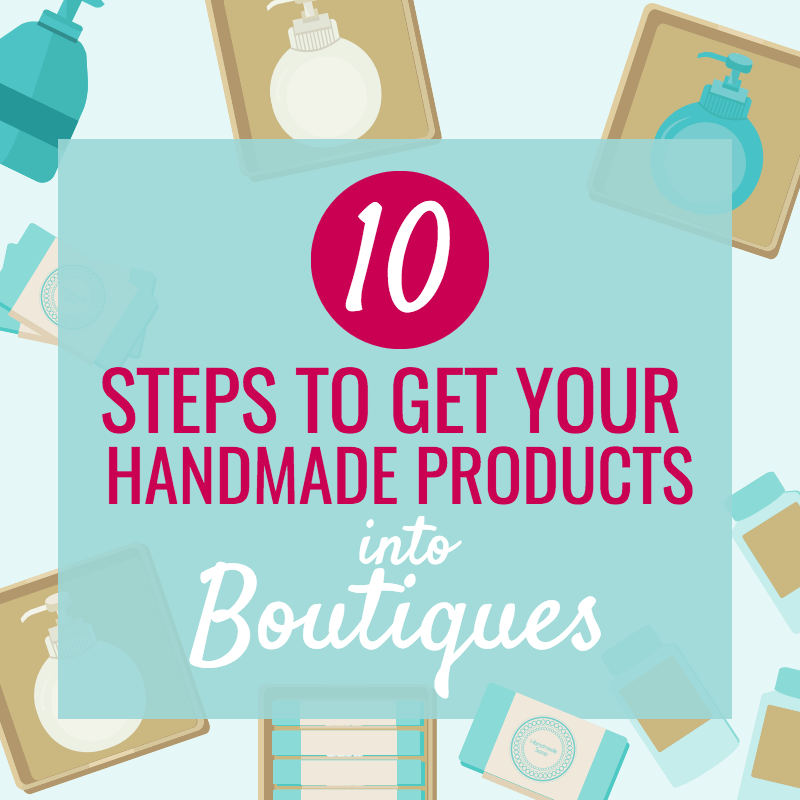 7) Choose your A-team – which retailers would you love to see your handmade products in? Create a smaller list of boutiques you would like to approach first and try to be sure they’re not competitors on the same street. Just as you like to be different from other vendors at a craft show, boutiques want to carry unique products that customers specifically visit their store for. Buyers will often ask if any other stores are carrying your items to be sure there isn’t a conflict. Make sure your list isn’t too big either; you need to be able to fill each of their orders in a timely manner. 8) Create a Look-book – even if you’re bringing some items in for them to view, you’ll only want to bring a sampling (unless the owner specifies they’d like to see more). A look-book is a great way to create a cohesive story and show off more of your product line. 9) Set up a meeting – call and ask whom you should speak to in regards to the stock they carry. Generally the owner takes care of that in smaller boutiques so alternatively, you could ask to speak to them. See if you can set up a meeting to stop by and show them some of your items. If you’re not in the same city as the retailer, try to get the Buyer/Owner on the phone and ask if you can email them some photos of your work or a look-book. Always try to talk to someone in person or on the phone first as opposed to email being your first contact (emails are too easy to miss and dismiss). 10) Stay on the lookout – when you’re on vacation or traveling somewhere new, keep an eye out for retailers that might be a fit. It’s hard to know which areas and stores are trendy when you don’t know the city but you can find out first hand when you’re exploring. Keep the same points in mind; ask if the owner or manager is in, introduce yourself and ask if you can email them about your products once you’re home from your trip. Bonus points if you have a look-book or business card you can hand out right then and there.